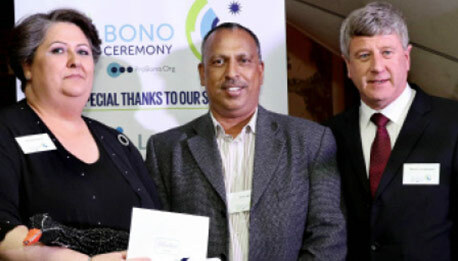 Welcoming the guests at the fourth annual awards ceremony, Chair of the Board Mohamed Randera explained that we approached things slightly differently this year. 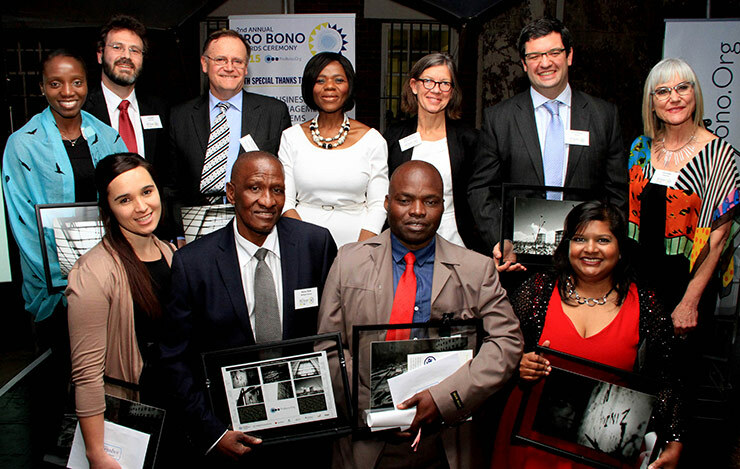 Instead of calling for nominations and submitting these to a judging panel in a competitive way, we chose winners from our list of over 85 legal practitioners who volunteered at our legal clinics and help desks and took on referred cases in 2016. We looked for those who had made an outstanding effort in the various areas of law that we deal with. 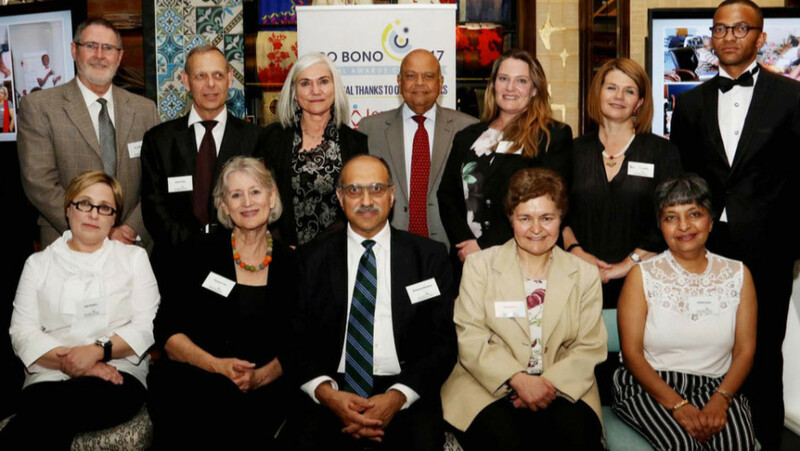 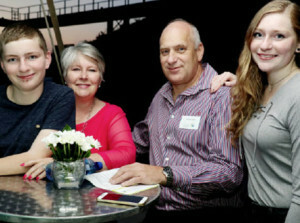 The event was held at The Social Kitchen, Exclusive Books, Hyde Park Corner on 7 September 2017, where the former Minister of Finance, Pravin Gordhan gave the keynote address. 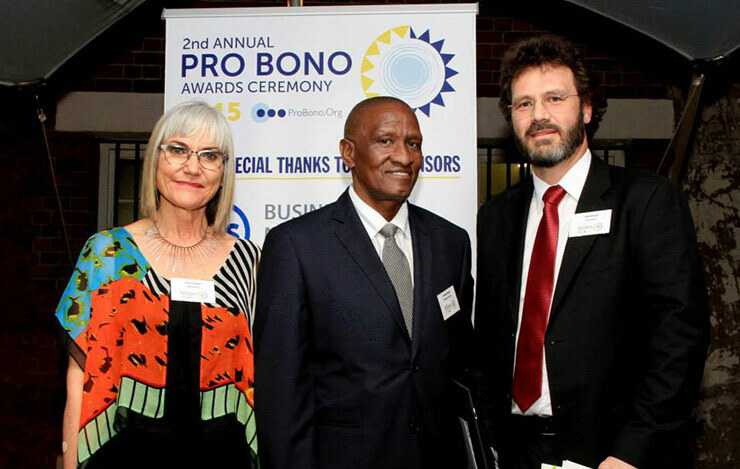 He remarked that ProBono.Org reminds us of the old activist structures in the ‘70s and ‘80s such as community advice offices, and that we should not leave organisations like ProBono.Org to chance but we should nurture them. 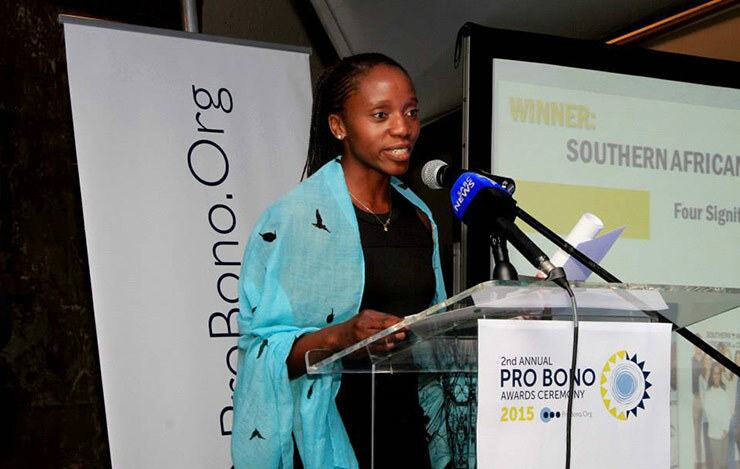 The lawyers present represent the spirit of activism and the spirit of the integrity of the profession. 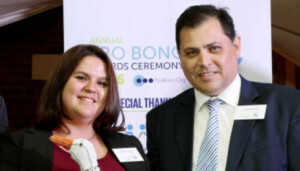 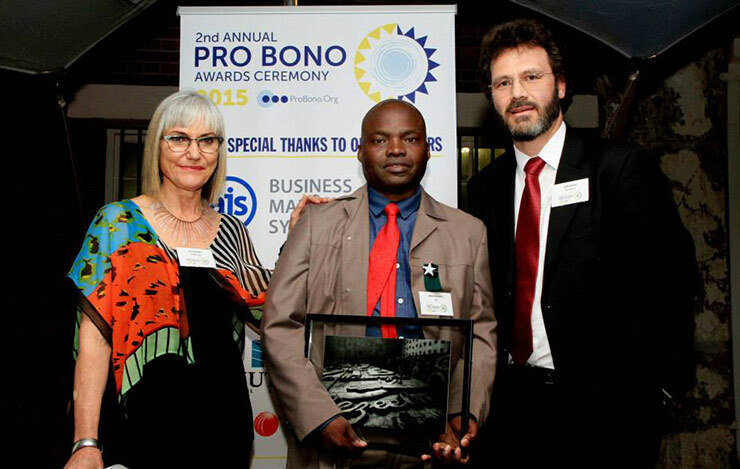 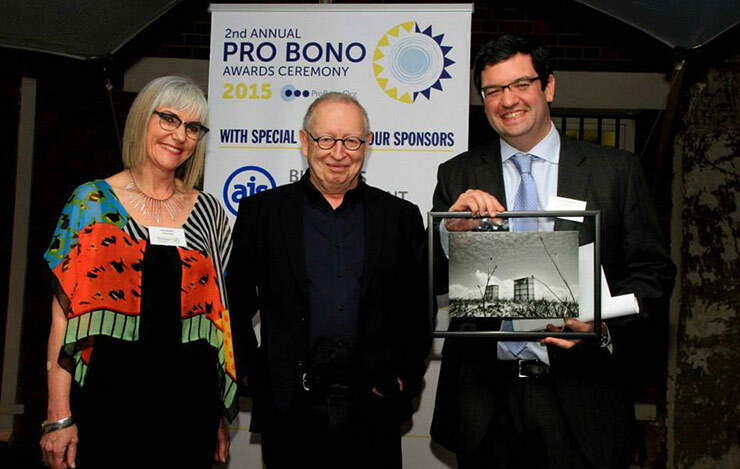 The delight and joy that clients receive from pro bono service is immeasurable and rare. 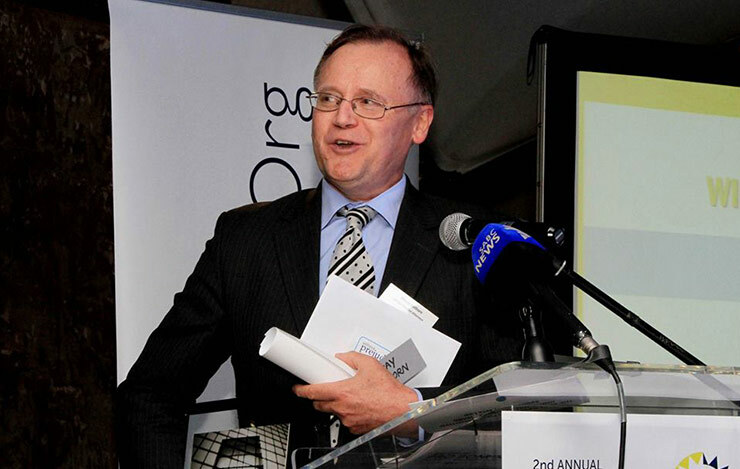 Despite having a good Constitution, good laws and a modern society, transformation has been lagging behind. 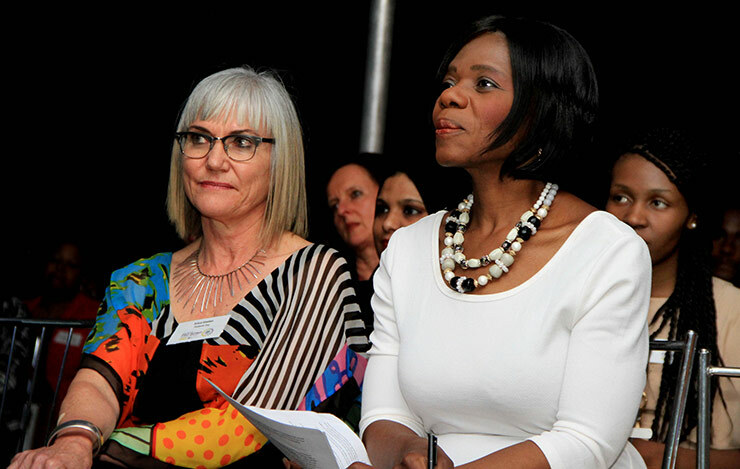 We have to address the state of inequality in our society. 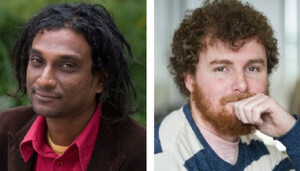 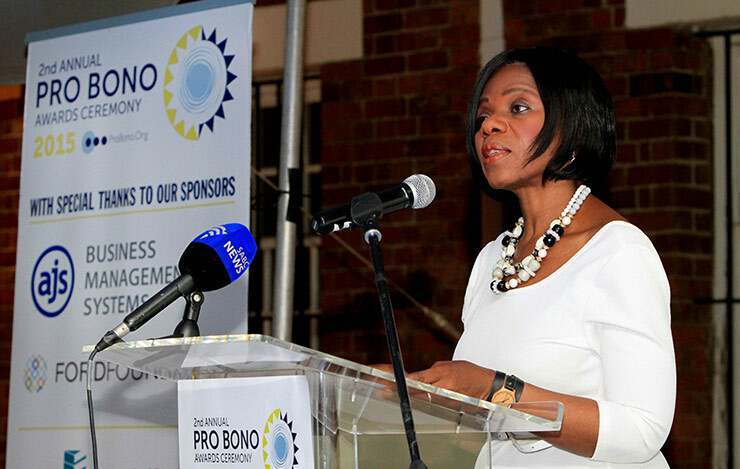 Solidarity with the poor is key, and the offer of pro bono assistance is a show of the calibre of the legal profession. 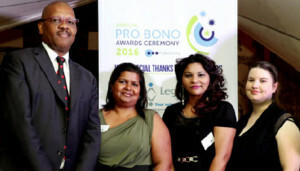 Gordhan stressed the need to regenerate legal professionals, especially the younger ones, to participate in social justice initiatives. 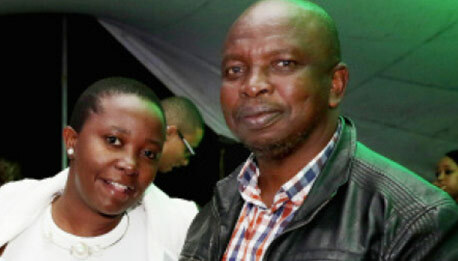 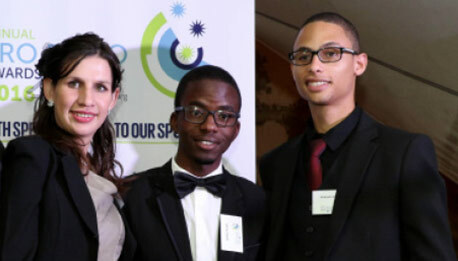 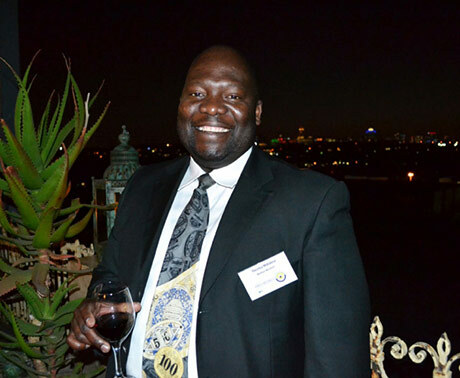 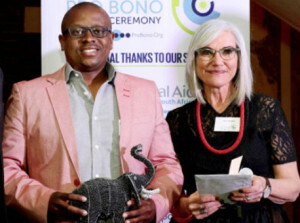 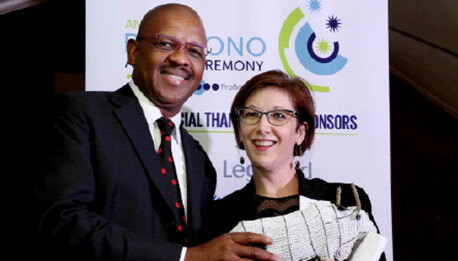 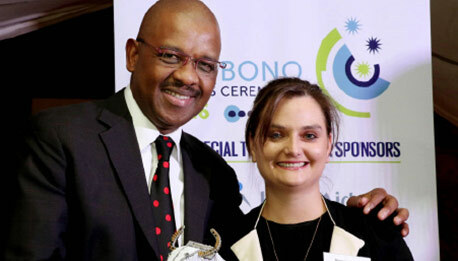 The Master of Ceremonies for the event was Michael Motsoeneng-Bill, well known for his programme The Law Report, aired on Kaya FM on Wednesday evenings. 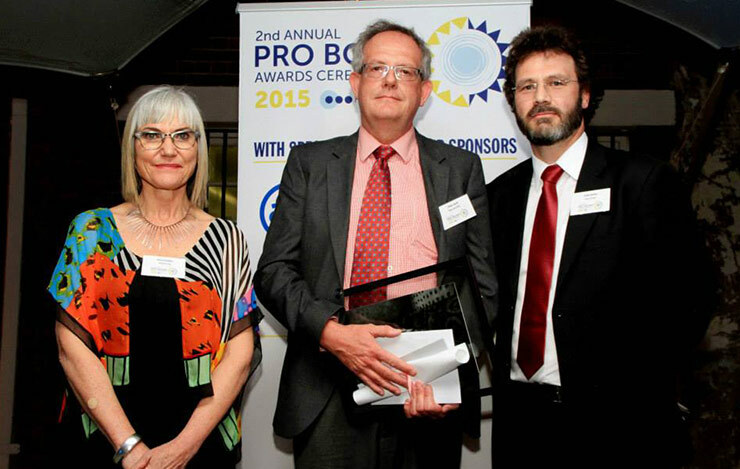 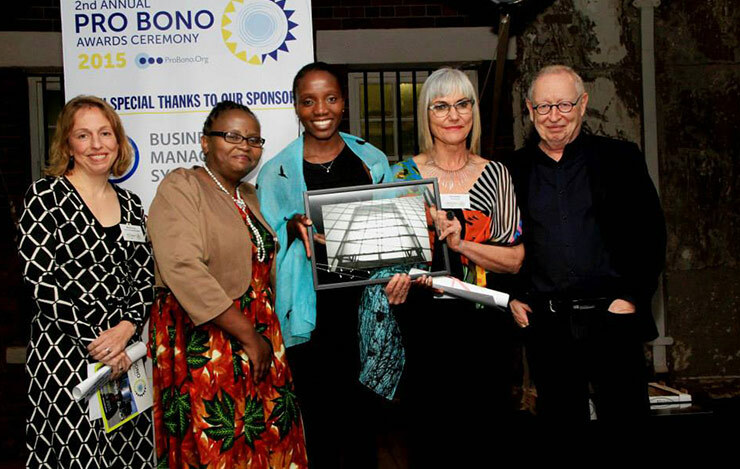 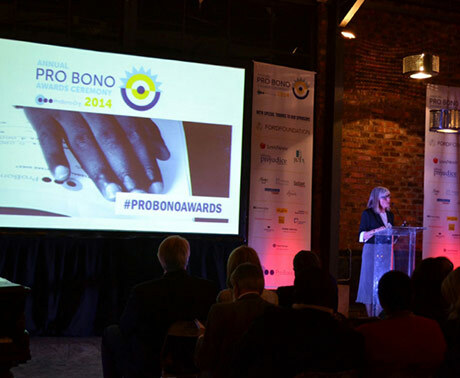 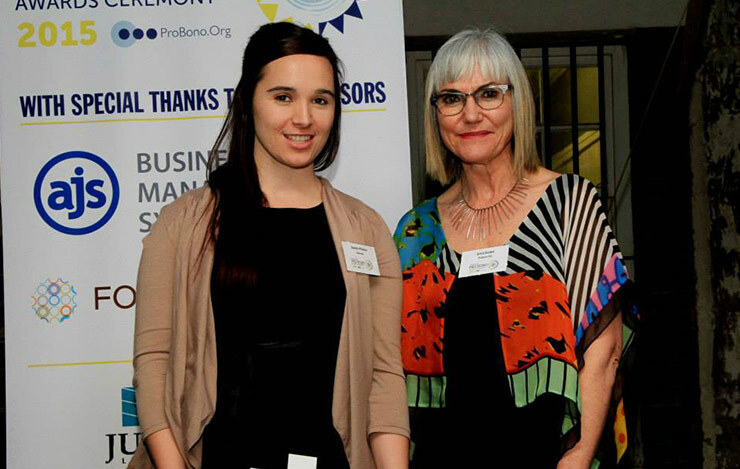 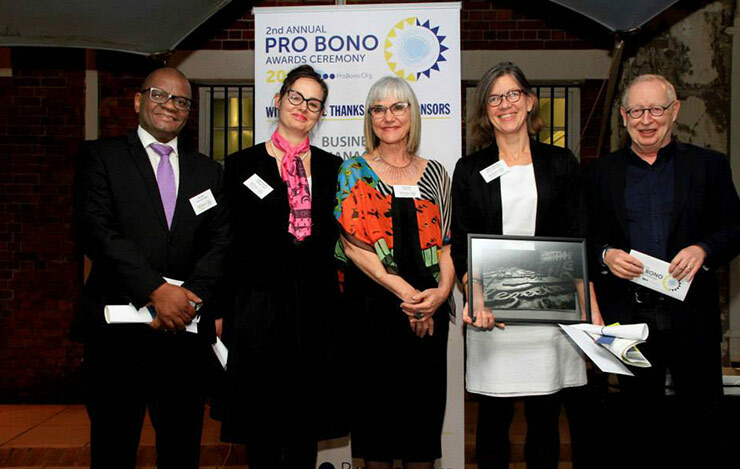 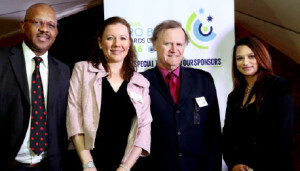 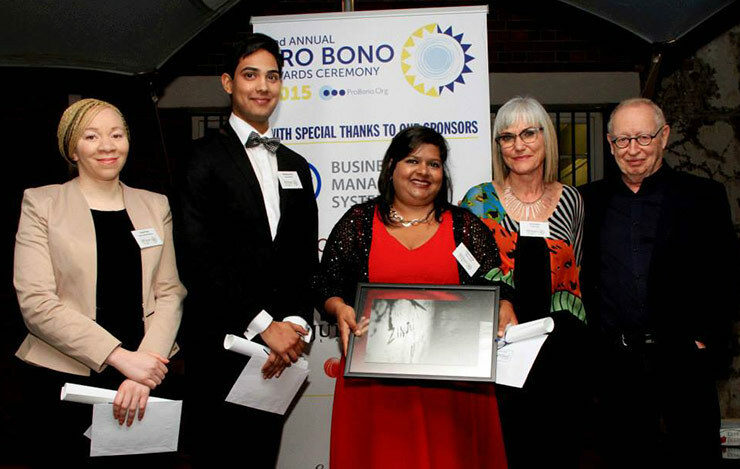 This year, ProBono.Org staff and interns all participated in the awards by presenting the winners with their prizes. 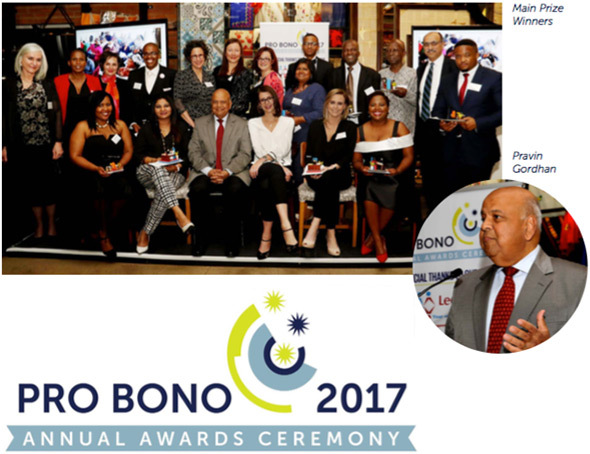 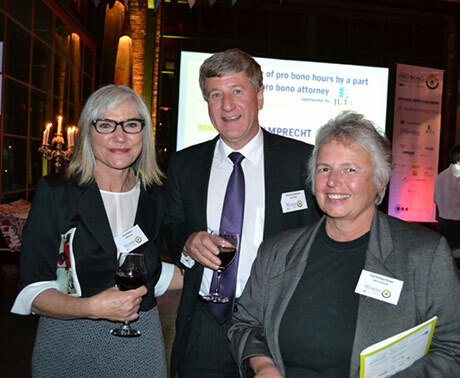 Click here for our complete October 2017 Newsletter, and more information on the awards ceremony, prizes and winners.